Mayor Marie Gilmore: one and done. And so, with the simplest of intentions, began one of the biggest electoral upsets in the entire East Bay. Spencer, a long-time school board member, filed paperwork to face incumbent Mayor Marie Gilmore on Aug. 4—just four days before the filing deadline. Three months to the date—on Election Day—the mother of four and seven-year cancer survivor had upended Alameda’s power structure by the slimmest of margins and possibly begun to lead a great deviation from the city’s current course for development on the Island. In terms of political seismic shocks, the temblor that hit Alameda on Election Day was significant. In just a single election, the city’s clear path toward a pro-development policy at Alameda Point and other projects around the island slammed into political reality. Alameda voters are, indeed, skeptical of City Hall’s development plans at Alameda Point because of its potential, in part, to further clog traffic and change the character of the city. In its wake, the election left Mayor Marie Gilmore out of office after one term and Councilmember Stewart Chen on the outside looking in after just two years in office. 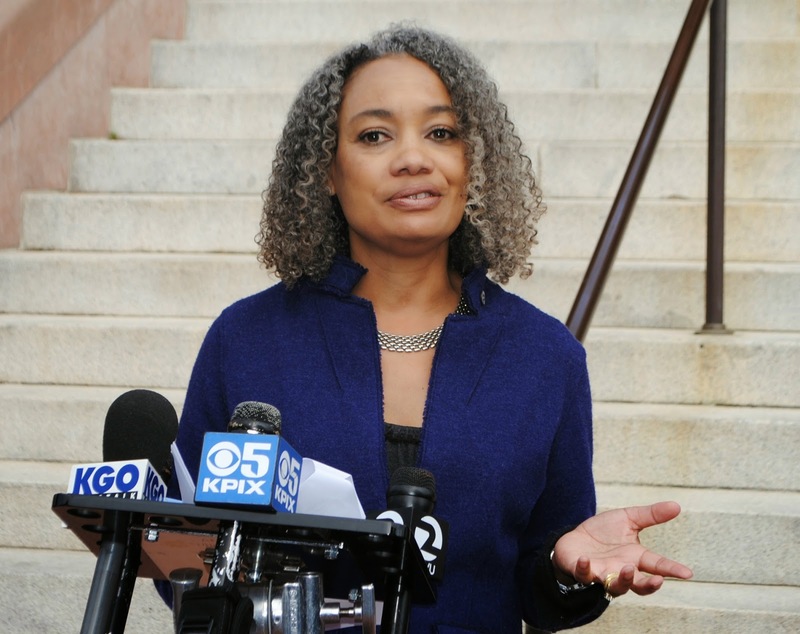 Alamedans’ hunger for throwing the bums out this election cycle seemed to extend down the ballot to races not clearly connected to development, but to candidates representing the status quo. Long-time school board member Mike McMahon lost his seat, and termed-out Alameda Councilmember Lena Tam fell well short in her bid to defeat incumbent BART Board Director Robert Raburn. Posted in Alameda, Alameda Magazine, Alameda Point, Frank Matarrese, Jim Oddie, Marie Gilmore, mayor, Mike McMahon, November election, Trish Spencer, upset. Bookmark the permalink. As to how the virtually unknown Spencer won over the much better known and much better funded Gilmore, and still furthermore Gilmore was also the incumbent, and which normally would be a huge advantage, regardless of whether we are talking about the East Bay city of Alameda, the state of Louisiana (and in which longtime institution Mary Landrieu was soundly beaten), or virtually anywhere else, the general public has finally gotten sick and tired of incumbents and the lies, garbage, and nonsense they usually represent.